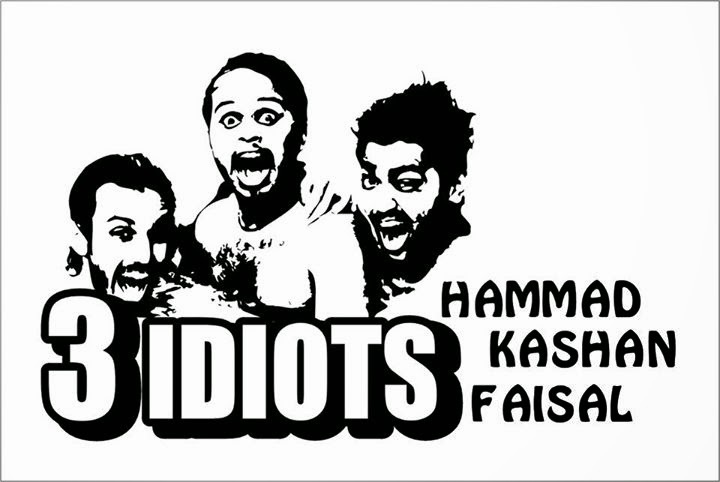 The Idiots: We are a group of The Idiots, sorry, 3 friends- Hammad, Kashan & Faisal. We make funny & message based short videos. By profession, we are software engineers, but acting is our passion. Times of Youth: When did you decide that comedy and short video making was your calling? The Idiots: It was the first year of university when Hammad came to me (Kashan) & said, “Chal yar koi Video banatay hain” [Come, friend, let’s make some video]. I said why not, and then we started making short videos on different topics which were all funny. People start liking our videos & then we realized that we have to explore ourselves more & we did it. The Idiots: My father would say, “Son, education comes first, then everything.” Our families had the least interest in our video making; they didn’t know that this thing will give us huge fame one day, & when we became famous & won several prizes in short filmmaking they appreciated us as we made them feel proud. Times of Youth: Why was ‘The Idiots’ chosen as a name of your group? What inspiration was drawn from the popular Bollywood movie of the same name? The Idiots: Yes, of course, this name was taken from the movie ‘The Idiots’ as we were also The Idiots. We were confused what will be the name of our group. In the meanwhile, this movie released, so we decided to put the same name of our group. The Idiots: Our first funny video was “Matrix do bar loaded”. The response was good as we got famous in our classroom. Then we made a page & start making videos & got fame from classroom to university level to city level to country level. Times of Youth: Why are most of your videos made as parodies of someone or something? The Idiots: We only make funny videos which are message based as well. Parodies depend upon the trending situation. Times of Youth: Apparently, your most watched video has been ‘Aamir Liaquat parody’. How do you feel about its overwhelming number of views and its subsequent feedback? The Idiots: Obviously we feel good (Aamir Liaquat parody was the biggest hit of its time). So many people know us by this video. We don’t have any grudges against Aamir Liaquat; it was just for fun & a great experience. Times of Youth: Another series of your most popular short videos is the ‘Puppa series’. How did you guys conjure up the idea to make it? What do you feel about its response? The Idiots: Ah! My favorite, too. Hammad came up with the idea that we should make a video in which a son is doing some bad things & his father will be the villain for him. When we released Puppa part 1 the response was great, so we decided to make more parts & now puppa series has 15 parts & another one to come soon. It is in demand. Times of Youth: Considering the amount of fun you guys have made of people, did it ever backfire? How? What did you do to cope with it? The Idiots: Yes, many times. When we make any video on politics or religion, people start pasting Quranic verses in comments box rather than understanding the message behind it. Moreover, many people don’t like us because of our fame & as a result, we have lost 2 Facebook pages so far with around 30k+ Fans. We don’t know why people do this? I think jealousy is a disease; we wish them to get well soon. The Idiots: Obviously it is, as we have to manage two things- our career i.e., Programming, & our passion i.e., Acting. We believe success in acting is all about being there at the right time at the right place. Your job is to be ready. The Idiots: Acting, acting, acting; even when we are not making videos, we start acting with our family, spouse & friends which enhances the power of observation in us. This is so stupid but we love it. The Idiots: We deal with the common people. The strategy requires thought, acting requires observation. Times of Youth: In your journey of spreading laughter, you guys have received several short video making awards and nationwide recognition. Of all the moments, which one has been the most memorable overall? The Idiots: We are planning another part of Puppa Series after 2 years & also working on some campaigns. The Idiots: Yes, many times, but as we believe that one who has a right to criticize, has the heart to help. Criticism helps us to improve our mistakes & flaws in acting or producing a short film. I think it is a good sign. Times of Youth: We know that plagiarism, nowadays, is commonplace. Have you guys ever been its victim? What do you want to say to those who steal ideas to be famous? The Idiots: Well, stealing ideas is a very bad thing; this is someone else’s property. Those who steal show that they have a limited thinking power & can’t think out of the box. So many of our videos have been reshot by different channels & this has made us proud that we are doing quality work at least. The Idiots: We will advise them to keep making funny but message based content which spread awareness with some fun.